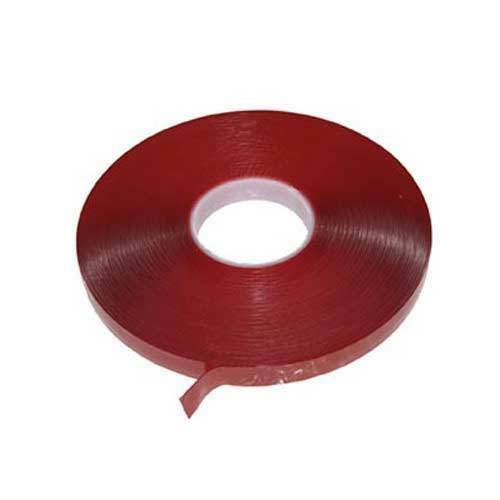 So as to attain high level of customer satisfaction and trust, we are immersed in offering VHB Tape. We, V. Mehta & Co. from 1998 are one of the famous wholesalers, traders, and distributors of an extensive array of Coated and Bonded Abrasives. Our offered range consists of best grade Coated Abrasives, Bonded Abrasives, and Non-Woven Abrasives. The offered products are designed with the help of ultra-modern machines at vendors end in compliance with set industry norms. Together with this, our range of abrasive products is widely acknowledged in diverse industries and appreciated for their quality and long life. Due to the assistance of our skilled professionals, we have mustered a huge client base spread across the nation. Furthermore, our quality auditors perform trials of these products at regular intervals to make sure that these are in compliance with the quality norms. Wide distribution network set by us deliver these products at the clients’ destination within the stipulated time frame. Also, our trading brands are 3M, Abro, Yuri and much more. Our mentor Mr. Amit Mehta has guided us to be able to reach such heights. His sharp business acumen and exemplary leadership skill have always supported us in standing ahead of our counterparts in the industry.